Every once in a while, another headline will hit the media that the winner of a jackpot of millions and millions has not yet made him- or herself known. Once you read something like this, you probably wonder how this could possibly happen. Although the answer is often quite simple: the lottery ticket ended up somewhere in a drawer and the owner simply forgot that he had it. When only a small amount of money was won with the ticket, this is usually not a big deal. But just imagine missing out on millions, just because you forgot to check the lottery results… For most lotteries, there usually is a fixed period for you to make yourself known. Are you too late? Then you actually miss out on the prize. Thankfully, there are plenty of ways for you to check whether your lottery ticket has won a prize. Watch the live draw on tv or the internet, check the results on the website of the lottery or sign up for the text and email notifications of a lottery service. All of these options render it virtually impossible to miss out on the results of the drawing. How do you take part in the lottery of your choice? There are various ways for you to take part in a lottery. You could, for instance, buy a single lottery ticket in a store. The advantage of buying a single lottery ticket is that you are not tied to anything. Although the disadvantage is that your name and bank account are not registered. Therefore, you have to check for yourself whether you won a prize. If so, you would have to go back to the store in person to cash in on your prize. If you find yourself frequently buying lottery tickets, you would be better off opting for a subscription. You will then automatically be notified when a lottery ticket for the lottery you chose has resulted in a prize. An added benefit is that the cash prize will automatically appear in your account. So even if you forget to check the results, there will be nothing to worry about. 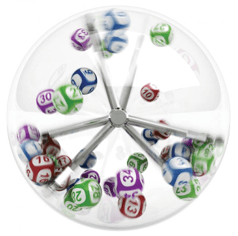 All around the world, there are plenty of lotteries for you to take part in. For lotteries in countries that are far away from yours, you are really dependent on online lottery services in order to do so. And with these lottery services, the results of the draw will be published online. However, as you can only play online after creating an account, it does not really matter if you happen to miss the results of the draw. After all, the lottery service will take care of everything, including sending any possible winnings your way. Although it is much more fun to look up the results for yourself and be pleasantly surprised if the numbers on your lottery ticket (at least partially) match the winning numbers. It is obviously very useful if you are able to look up the results of the draw on your laptop or mobile device. Yet lotteries are at their most exciting when you can watch the draw in real time. Most lotteries have turned their draw into a special moment. Sometimes all you have to do is turn on the tv. For instance, the draw of the Dutch Lotto takes place every Saturday night, on a public broadcaster. Other lotteries go about it in a more contemporary manner. They, for instance, broadcast the draw live on the internet, so that players from all over the world can join in and watch. The German Lotto 6 aus 49 is one of the lotteries that opted for this approach. So even if you are unable to watch German tv, you still have the option to watch the balls drop in real time. The advantage of those live draws is that they often leave you on the edge of your seat. The first ball that drops might be the right one right away. And if this is followed by the second, third and perhaps even the fourth number listed on your ticket, the excitement might just reach its boiling point. On top of that, the live draw allows you to see right away whether you won a prize and how much cash you have won. Because if you happen to win the jackpot, you would want to celebrate as soon as possible! For foreign lotteries, it is often difficult to watch the draw in real time, via tv or the internet. A potential time difference is one important reason for this. You can rest assured that draws that are broadcast live on the internet often end up on YouTube and the website of the lottery in question as well. Thus, you can re-watch the images at a time that is most convenient for you. How do you know whether you won anything in a foreign lottery? Before 2002, you were restricted to lotteries organised in your own country. The only possibility for taking part in the EuroMillions lottery or the German or Belgian Lotto was by physically crossing the border and buying a ticket locally. For the bigger lotteries, such as the US Powerball and the Mega Millions lottery, this might have been a bit more difficult. You had to travel to the United States in order to purchase a lottery ticket and be eligible for winning the jackpot. With the arrival of theLotter in 2002 (and other online lottery services after that), a whole new world has quite literally opened up for the real lottery enthusiast. Anyone who would want to, can now purchase lottery tickets for the US Powerball, EuroMillions, the Australian OZ Lotto and so forth. The results of those lotteries are available to anyone, anywhere in the world. For this, you simply visit the official website of the lottery that you are taking part in. Even if the draw took place some weeks ago, you can still retrieve the results. And as you are usually given a few months to claim your prize, this is quite convenient. If you take part through theLotter, Lottosend or another online lottery service, you do not even have to look on the website of the lottery in question. All the results are simply provided on the website of these lottery services. It does not matter whether you are looking for the results of the last lotto drawing or whether you want to take another close look at the numbers that rolled out of the machine some weeks ago. All of this information is diligently kept up to date, so you will not miss out on anything. You might want to make your life easier. Then why would you even bother to look for the results, if you can simply receive the winning numbers via text or email? Lottery services such as theLotter and Lottosend will automatically notify you if you happen to have won something. For this, it does not matter how big or small the prize is. Therefore, you might just get a message telling you that you are the proud winner of the grand jackpot. This way, those millions and millions will never simply get past you because you forgot to check your ticket. It is time to claim the prize! With each draw, you have a shot at winning a great prize. Once you finally win all of those thousands or millions that you have been dreaming of for so long, the best part is yet to come: claiming the prize money. This is done automatically through a subscription or through an online lottery service. But if you take part in the Dutch State Lottery or the Belgian Lotto just once, it is your own responsibility to check the results in time and exchange your lottery ticket for cash money. Do so! You surely do not want to be that person who finds out too late that the huge jackpot was actually meant for him all along.